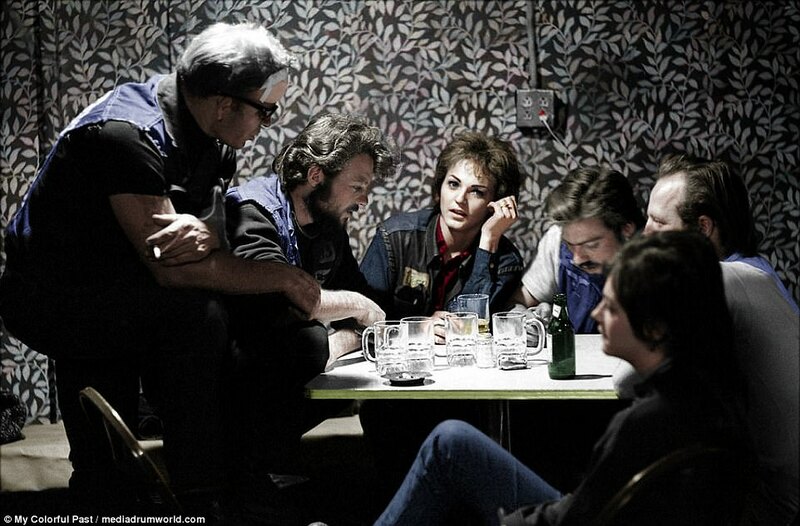 Home Amazing Hells Angels’ angels: Re-touched photos show the women behind one of world's most notorious motorcycle gangs in all their colourful glory . Hells Angels’ angels: Re-touched photos show the women behind one of world's most notorious motorcycle gangs in all their colourful glory . 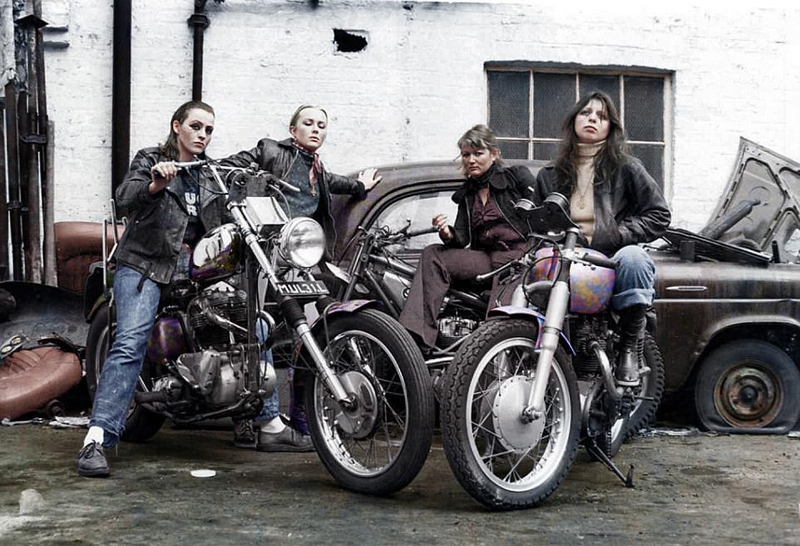 A photo series documenting the women of the Hells Angels has been re-touched in colour to provide a fresh look into the females behind the world's most notorious motorcycle gang. 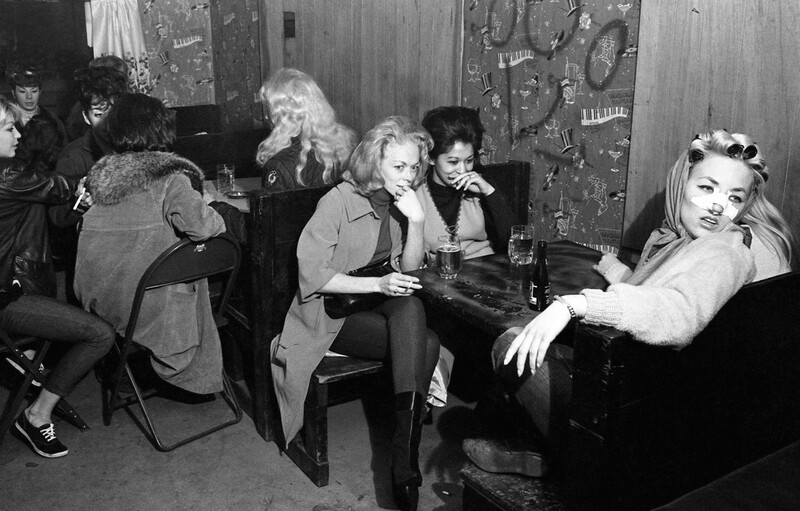 The original pictures were taken in the 1960s and 1970s, at the height of the Hells Angels infamy in the public eye - often linked to the drug trade but also to figures The Beatles, The Rolling Stones and journalist Hunter S. Thompson. Most of these images were taken by LIFE magazine photographer Bill Ray, according to Matt Loughrey, who decided to take the time to add some colour to the iconic shots. Mr Loughrey, 39, is an Irish photographer who works at My Colorful Past in Westport, a company that colorises historical photos in order to ensure they're preserved and remembered. He's worked with all sorts of moments in history, including some of the past's most renowned crooks, which reported on earlier this year. Now turning his attention to the Harley-Davidson motorcyclists, Mr Loughrey has enjoyed looking back on 'the advent of such a strong fraternity of people'. He said: 'These photographs document only a fragment of time. What I found hard to understand was why the original black and whites never made it to the magazine itself. The Hells Angels organization is predominantly white male and considered an organized crime syndicate by the United States Department of Justice. 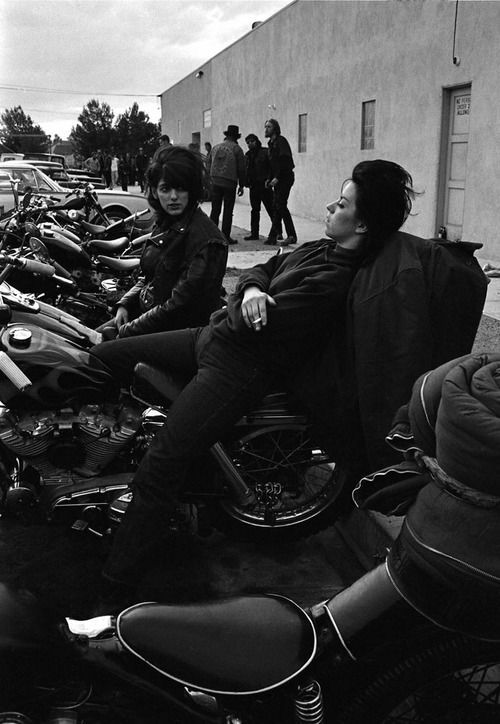 The newly retouched shots shows its female members relaxing in a cafe, astride their motorcycles and loitering outside the Blackboard Cafe in Bakersfield. Colourising the black and white images is a long process. Mr Loughrey explained, 'I use what is essentially a digital pen and paper in the form of a dedicated tablet and stylus. The Hells Angels established its notoriety as part of the 1960s counterculture movement in San Francisco's Haight-Ashbury scene.